i hate to say it, but when it comes to eating out in malibu, pickings can be slim. it's not that there aren't good restaurants, it's just that there aren't a lot. especially in that zone of "can't we go somewhere that i don't need make-up?" but isn't in that mid-range chain zone. 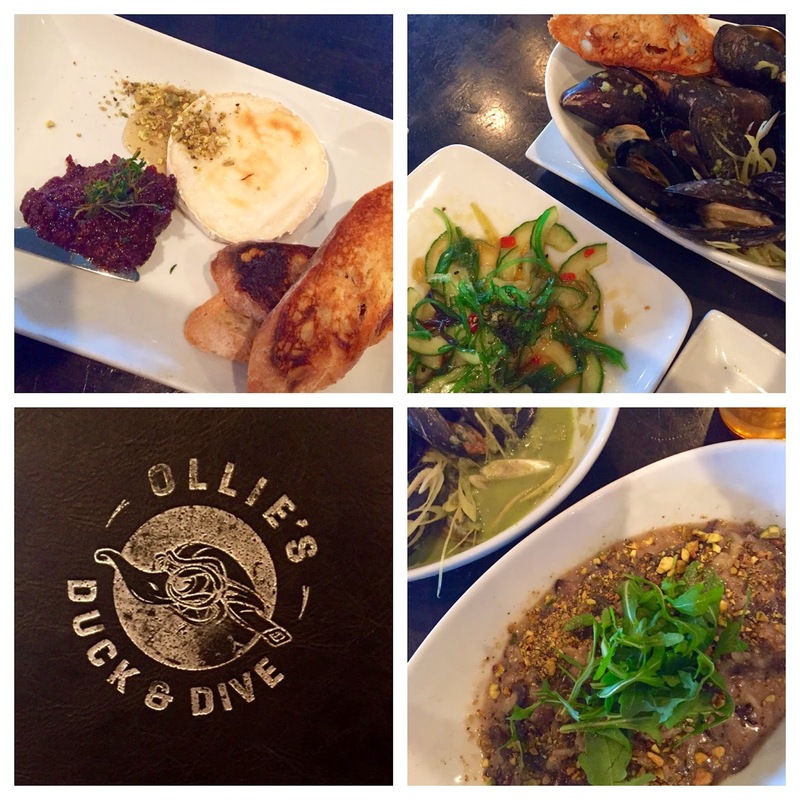 when a friend told me about a new restaurant opening on point dume called ollie's duck and dive, i knew i must go. not only because i love the play on the name, but i seriously love food and it's a new place to go! but to be a good restaurant it's not just about the food but the question of "would i want to hang out here?" oh, yeah-- i want to hang out at this place. the food is really, really good and the atmosphere is exactly what i expected from the name. an upscale surf joint that's just enough casual that i can easily pull off my uniform of flip flops, jeans, and a tank top even while sitting next to someone who decided to glam it up for the evening. neither of us looks or feels out of place. lots of incredible starters to a decadent dessert at the end? check. shuffle board? check. super friendly wait staff? check. dogs allowed on the deck? check. it all works for me. 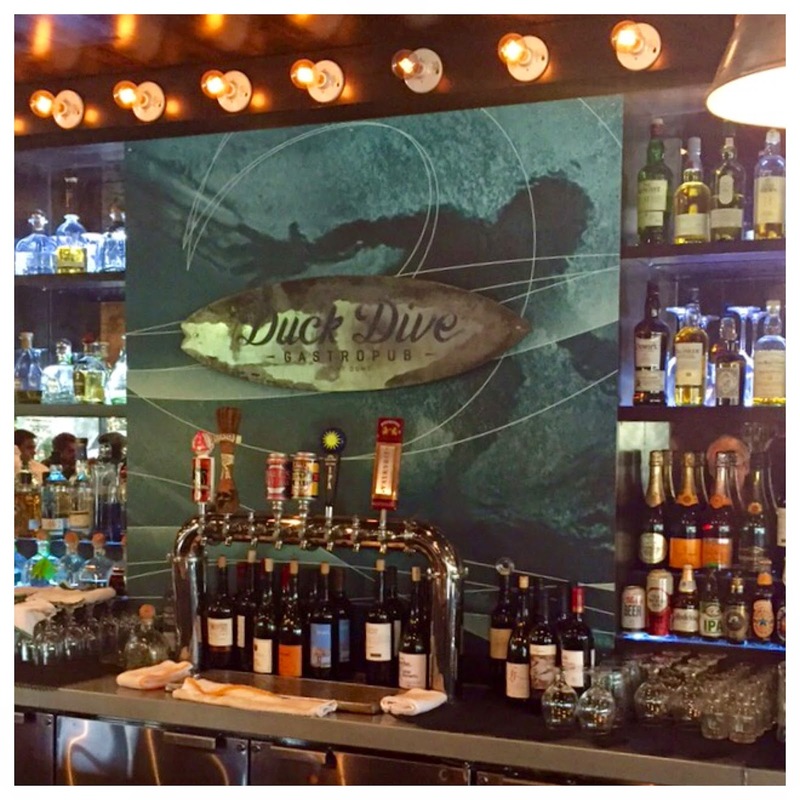 this is my kind of dive! some of our favorites: honey goat brie, asian cucumber salad, green curry mussels, and wild mushoom risotto.